The Five Islands Restaurant combines the prerequisite elements for serving original gourmet cuisine, fresh ingredients, unique dishes, with attentive and knowledgeable staff, and a signature ambience. This combination alone makes the dining experience nothing short of pleasurable, add in a deserted white sand beach being gently caressed by turquoise waters, with only lush jungle greenery and the sounds of nature to compliment your meal, pleasurable becomes magical. This also happens to be the best spot on the island to enjoy the sun setting over the Gulf. The restaurant's architectural design is based on the traditional Thai Sala, with Balinese influence. An open-air indoor and outdoor beach dining area. Likewise, the open kitchen is true to traditional Thai style cooking. Around the restaurant and gardens you'll notice many interesting statues and stone carvings, these are authentic items, some dating back centuries. Collected from all corners of Asia, and are actually available for purchase. The restaurant was built by Colin Burgess in 2003 and to this day is still operated and run by this charismatic character. Colin is a great ambassador for this area of the island; his laid-back personality is reflective of the feeling you get when traveling around this relatively untouched part of Koh Samui. Colin is a great host, passionate about his restaurant and the Virgin Coast. You'll most likely meet him if you pay a visit; he's worth having a chat to if you do. The Head Chef, Joy has been with the restaurant since it's opening and is supported by a loyal and talented team of culinary artists. Joy purchases all the ingredients, meat and fish daily for service. Fortunately for Joy he rarely has to go too far for his seafood, what is served to you is brought fresh from the sea right in front of the restaurant. You really can't get any fresher and if you are a lover of seafood, we'd recommend you go for it! Aside seafood, there is an extensive Thai, European and Thai Fusion menu, complimented with a New & Old World wine selection. The menu is always being tweaked with new dishes and kitchen innovations; new meals are being introduced every 3 or 4 months. 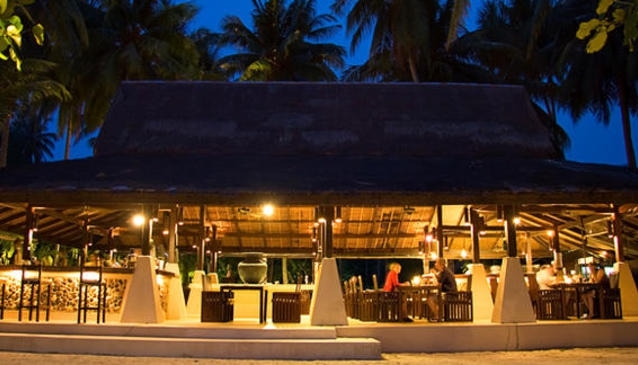 If you have already eaten or are in between meals and happen to be in the area, it's worth dropping by for a 'Five Islands Experience' cocktail and enjoy the beachside serenity, particularly if it happens to be around sunset. Alternatively, you can enjoy a very special tour of the actual Five Islands, including a lunch or evening meal back at the restaurant. It should be noted, that not many people have access to tour these special islands and actually land on a beach there, an experience you can read more about in our 'Island Tours' 'Island Tours' Category. This restaurant has an International reputation and standard, as island residents we feel very fortunate we can come and eat here whenever we like. As a visitor we recommend you do it at least once, we're pretty sure you'll be back again. Just fill out the SEND A QUERY button on your right to contact Colin directly.